THREE WALSALL OBSERVER PRESS CUTTINGS, 1925 – 1926, carefully preserved in an Album provide a picture of Pte Bertie Hibbett’s Family Background. INTRODUCTION: It is clear, from these Press Reports, that Walsall Education Committee, under the Directorship of my Grandfather, Arthur Hibbett, considered itself at the forefront of progress in Education at the time. The sheer number and range of tributes at his Retirement and Presentation Ceremonies, in Dec. 1925 and March 1926, bears witness to the warmth of esteem in which he was held as an administrator and as a trusted friend; so also the sheer length of the Press Reports. He is praised for his understanding of the needs of teachers, his respect for women teachers, for his interest in ex-service teachers & their reinstatement, and for his good relationship with the Walsall Branch of the NUT. He would be remembered for his ‘human qualities when the Boys were at War’. During his time he had increased Staffing , opened Welfare Centres, delivered a ‘wonderful’ Schools Medical Service, supported the Schools Swimming Association, introduced a Day Nursery, described as ‘the first in the country’, and established Summer Holiday Camps for Children. His interest in equality of opportunity and education for all is demonstrated, not only by his support of various branches of higher education, such as the Walsall School of Art & Technology, but also by his introduction of Instruction Classes ‘for unemployed juveniles’. Arthur Hibbett’s ‘monument to his work for education‘ was the opening of the Beacon School for Mentally Disabled Children at Lichfield and it was here that the Walsall Education Committee chose to make its Retirement Presentation to my Grandfather. in 1925. efw. 2014. PRESS CUTTING 1. Report on Walsall Education Committee Meeting 16th Dec.1925. Walsall Education Committee’s Tribute to Mr. A. Hibbett. At the meeting of the Walsall Education Committee, reference was made to the fact that the Secretary, Mr. Arthur Hibbett, was retiring at the end of the year, and a resolution was unanimously adopted paying the highest tribute to Mr. Hibbett as ‘a wise and able administrator’ who had rendered marked services in the cause of education in Walsall during the last 25 years, first as Inspector of Schools, and during the past eight years as Secretary of the Education Committee. The resolution added that the Committee was conscious of the fact that they were losing the services of one that was not only a most efficient, loyal and conscientious chief official, but of a gentleman whose relationship with them has been characterised by a spirit of thorough and happy co-operation and they sincerely hoped that he would be blessed with health and strength for many years to come, so that he might enjoy the rest and quiet of a retired life to which his work in Walsall so justly entitled him. In moving the adoption of the resolution, Alderman E. Shelley (Chairman) said his association with Mr Hibbett went back to 1903, and during the whole of his public career he did not think he had come across a more conscientious and loyal official. He felt tremendously indebted to Mr. Hibbett for the unfailing consideration and help that he had always given to him as Chairman. Every member of the committee would feel that he was losing an esteemed friend, and he had no doubt that for Mr. Hibbett himself it would be a tremendous wrench. Councillor J.A. Leckie in seconding him said Mr. Hibbett was a man whom everyone had trusted, and he was the embodiment of faithfulness and had shown the utmost efficiency in his work. Above all Mr Hibbett had been thoroughly economical in administration. He had led them through many difficult and strenuous times into smoother waters. And it must be a great satisfaction to him to know that he was leaving the work so efficiently organised for his successor. Mr. H. Skeels, Councillor W.D. Forsyth and Councillor D. Cartwright added their tributes and Mr. E. N. Marshall (QMS Headmaster) described him as a high-minded Christian gentleman who had been like a personal friend to every member of the Committee, to the teachers and to the children. Mr. Hibbett responding to the resolution, thanked the Chairman and members of the Committee for the consideration they had always shown towards him, for their sympathy in times of trouble and for much forbearance with his shortcomings. Within a day or two it was exactly twenty-five years since he was appointed Inspector of Schools under the old School Board, and during that time things had changed very much. Progress had certainly been made in education and in that respect he thought the Walsall Committee need not fear comparison with any other education authority in the country. There were however one or two obstacles in the way. One was the dual system of control, which was brought about by the (Education) Act of 1902, and another black spot was the unfair distribution of grant whereby rich and poor authorities started, as it were, from a race from the same mark. At the present time the education barometer stood at ‘stormy’ and it was to be hoped that in a short time it would rise to something like ‘set fair’. In conclusion Mr. Hibbett acknowledged the ungrudging help he had received from the members of his staff. PRESS CUTTING 2. Observer Report on Presentations to Mr. A. Hibbett 21st Dec. 1925. Gifts for Retiring Secretary to Education Committee. After twenty-five years of service to education, first as Inspector of Schools and afterwards as Secretary to Walsall Education Committee, Mr. Arthur Hibbett is retiring on pension, and testimonies to the high esteem in which he is held by all who have come in contact with him in connection with his official duties, were paid at gatherings by which presentations were made to him by local teachers and members of the staff of the Education Department. The teachers’ presentation was made at the Bradford Street Centre on Saturday morning, the gifts a wallet & cheque for £25, accompanied by a letter of appreciation. Mr. E.J.Allsopp (President of the Walsall Branch of the National Union of Teachers) presided. Miss E.P. Claydon spoke of Mr. Hibbett’s kindness and consideration, especially to the women teachers, and said his wise insight and sympathy had smoothed many difficult situations. To him the teachers owed a great deal of their freedom from carking cares and petty interferences. 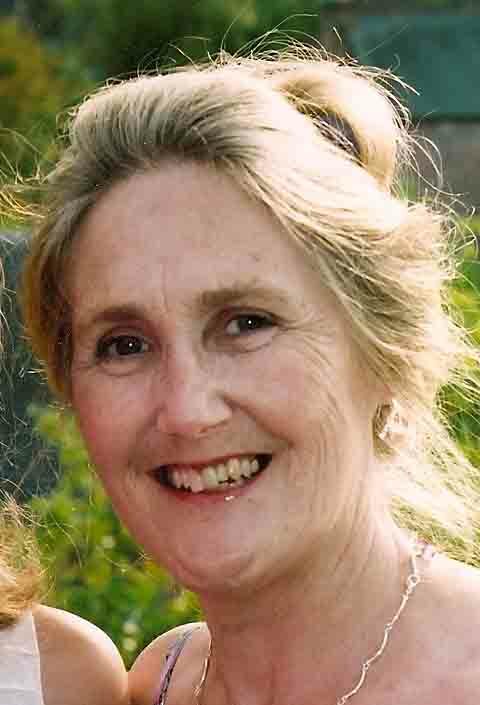 The lot of a Walsall Educational Official had never lacked its anxiety and vexation of spirit, and they hoped any harassing memories would quickly fade. Miss W.A. Barrans and Miss Hilton added their tributes. Mr R.R. Carter (Principal of the Walsall School of Art) spoke of Mr. Hibbett’s faculty for creating peace, whereas his two predecessors in office created an atmosphere of conflict. The one was not exactly suaviter in modo, while in regard to the other, he (the speaker) oft-times felt as the lamb to the wolf. With Mr Hibbett experience was so different. Mr Hibbett paid all with whom he came in contact the subtle compliment of assuming they knew their particular job. They hoped his successor would regard each of them as at least competent in their own profession. They envied Mr Hibbett in the fact that he need no longer trouble himself with Circular 1371. Mr. J. Sixsmith recalled the constant bickering that took place in the days of the old School Board between the Church and Non-conformists parties and thanked goodness that education today was not in the hands of any clerical party. Then came the 1902 (Education) Act when the Education Committee became a Sub-committee of the Town Council. At one period Mr. Hibbett passed through very troublesome waters on account of one or two members of the Committee who made his life unbearable. Since he had been Secretary Mr. Hibbett had worked with the Committee in the greatest harmony. Mr Hibbett was always accessible. Great advances had been made in education during his service in Walsall, particularly in the increased staffing, the better equipment, in the wonderful medical service, and in the various branches of higher education. Mr. J.H. Jones recalled how (in 1906) a deputation of teachers endeavoured to prevent the appointment of an Inspector, but said they were told that the right man had been selected and they would like him. This had proved true in the course of years, and anyone who worked under Mr. Hibbett felt they could do their best. In his difficult task Mr. Hibbett always showed a calm disposition. Which could run straight between extremes and bring peace instead of irritation. 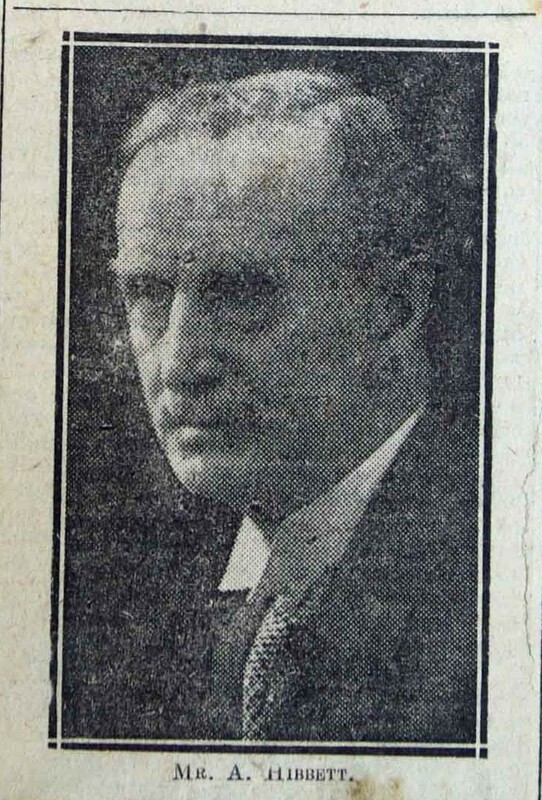 Mr. F.G. Thomas spoke of the great interest shown by Mr. Hibbett in the Schools Swimming Association, and Mr A. Cowley (Secretary to the Walsall Branch of the NUT) acknowledged the help he had received from Mr. Hibbett, in connection with the work of the Union. Mr. S.C. Hodgkins referred to the human qualities Mr Hibbett displayed when the boys were at the War; and Mr. E.O.Jones spoke of his kindly and affectionate interest in ex-service teachers and their reinstatement. Alderman E. Shelley (Chairman of the Walsall Education Committee) said he did not know what he should have done if he had not had Mr. Hibbett to help him to steer the right course. He had rendered wonderful service and had exercised a fine influence. A prominent educationist had been appointed to succeed him, and they were confident he would prove a credit to the town. Sir Roger Curtis Bart, H.M. Inspector, said his relations with Mr. Hibbett had been uniformly cordial. There was no doubt that Mr. Hibbett had had a trying time. There had been numerous vacillations of policy for which neither the Walsall Education Committee nor Mr. Hibbett were responsible. Such vacillations were invariably unpopular and temporary odium attached to the unfortunate Director. But Mr. Hibbett had faced the difficulties manfully and courageously and given blow for blow with re-doubled vigour and energy. They admired a Secretary with energy and the courage of his convictions. Sir Roger spoke of the excellent work Mr. Hibbett had done toward the establishment of a summer holiday camp for children. The worst tribute they could pay to Mr. Hibbett was to let the scheme drop. Mr. J.A. Picken, Inspector of Schools, said Mr. Hibbett was always approachable, never an autocrat, but always ready with sympathy and wise counsel. Councillor J.A. Leckie spoke of Mr Hibbett’s ability as an administrator and said he had a thorough grasp of whatever he undertook. He could not have chosen a better time to retire, for education seemed to be in for strenuous times. Miss Shipley added her tribute and Miss A. Harrison in making the presentation, spoke of Mr. Hibbett’s work in pioneering the day nursery, which was one of the first in the country, and his efforts to establish welfare centres, munitions classes and instruction classes for unemployed juveniles. Although compelled to be an economist, he had recognised that life and health and happiness were more valuable. He had always supported the reasonable requests of the teachers. Mr Hibbett who was accompanied by his wife mentioned in responding that the day was the 40th anniversary of their wedding day and also the day in 1906 when he was appointed Inspector of Schools, in that room. Previously he had been at a half-time school in Lancashire, and he recalled those ‘soul-destroying days’ when inspectors were martinets and teachers instead of being encouraged to display initiative, were mere machines. Although Walsall had experienced the minimum effects of the dual system of control, and there had not been a serious quarrel with the managers, such a dual system did not lend itself to complete success, and under it they would never make such progress as under a unified authority which had complete control over all forms of education in the area. In Walsall existed an organisation second to none. Mention having been made of (Circular)1371, (1) he confessed he was not sorry to get away, because he could foresee enormous difficulties. Consequently he asked that every consideration should be given his successor in his difficult task. Officialism or bureaucracy as it was sometimes called, was anathema to many, but before arriving at any judgement, he had always tried to see the other man’s view and it was wonderfully enlightening. On Monday evening at the Council House Mr Hibbett was presented with an oak writing desk, a fountain pen, a gold collar pin and a box of cigars, by the officials of the Education Department. Mr. J.A. Picken (Inspector of Schools) presided over the proceedings, and in making the presentation referred in appreciative terms to the very cordial relations which had existed in the department since Mr. Hibbett took control of it. By his courteous treatment of all the staff and his sympathy, encouragement and help he had gained not only their respect and esteem, but also their affection. He had carried on though some difficult times but he had never complained and he was leaving behind him a tradition which would be a great assistance to his successor. They all wished for Mr and Mrs Hibbett many years of health and happiness. He certainly would not be troubled by the Inspector of Schools reporting the bursting of another heating apparatus, nor by the Chief Attendance Officer notifying an epidemic necessitating the closure of schools, with consequent loss of grant, and his digestion would not suffer through having to read such correspondence as Circular 1371. (1). Mr. G.H. Jones also voiced the esteem and regard in which they held Mr. Hibbett, and said they were losing not only a highly respected chief, who had successfully held the balance between the Education Committee and the officials, but a great personal friend as well. Mr. A.E. Birch (finance staff) and Messrs W.H. Deakin and Mr D. Miner (School Attendance Officers) spoke to similar effect, and the Chairman read a letter from Mr Sam Taylor, a former teacher in the town, which referred to the unfailing kindness sympathy and help Mr Hibbett had always shown to members of the teaching profession. The writing desk bore the inscription: Presented to Mr. Arthur Hibbett as a token of esteem and regard by the officials of the Walsall Education Committee on his retirement. December.1925. Acknowledging the gifts, Mr Hibbett said things had sometimes been difficult since he took over the position of Secretary to the Education Committee, but he had always received the enthusiastic and whole-hearted support of every member of staff and for that he was very grateful. He hoped the same help would be forth-coming for his successor, for he considered that the next two years would be a period of tremendous gravity in the educational world. Mr Hibbett subsequently presented on behalf of the staff, a wedding gift of a case of cutlery to Mrs Lines, who, as Miss Kendrick, was formerly employed in the department, principally in the medical side of the work. (1) Circular 1,371 refers to Block Grants and Administration of State Contributions for Education. See Hansard: House of Commons Debate 03 December 1925. QUESTION: Mr HARRIS asked the President of the Board of Education why a circular has been issued to education authorities stating the Board’s intention to reduce the grant by 30s. per child for children attending school under five years of age; and whether the suggestion has been made by the Board of Education authorities to give only partial instruction to children between the ages of five and six years of age? Mr. HARRIS: Does not this amount to a suggestion that the contribution from the Board of Education is to be reduced from 30s. to 5s., and will it not have the effect of discouraging educational authorities from keeping these children at school? Will not that affect in particular very poor districts, because it is only in very poor districts that these children are sent to school, on account of the very bad home conditions there? Will the Right Hon. Gentleman bear that in mind in pressing forward this Regulation? QUESTION: Mr MONTAGUE:Will the mothers who will now have to look after these “under fives”, who may have had to work to help to earn a living for the home, be regarded in these circumstances as not genuinely seeking work? PRESS CUTTING (3) WALSALL OBSERVER 6th March 1926. PRESENTATION TO MR. HIBBETT AT OPENING CEREMONY. An important development in connection with Walsall’s educational system was completed on Tuesday, by the formal opening of the Beacon School, Lichfield, which will in future be used solely for the training of children who, whilst being mentally defective, are capable of benefiting from instruction given to them. Beacon School Lichfield. Photo: Revd. Patrick Comerford. Of these there are at the present time 23 in Walsall, and the remaining accommodation will be filled by the admission of 50 boys and girls sent by education authorities in various parts of the country. The premises which were formerly used first as a truant school and afterwards as a short-term industrial school, are admirably suited for their purpose, and the site on the outskirts of Lichfield, is probably one of the healthiest that could have been found. Mr. and Mrs. Taylor of Winchester, have been appointed superintendent and matron, and a number of children from Walsall were receiving lessons in the school while the opening ceremony was taking place. This was performed by Alderman E. Shelley (Chairman of the Education Committee) in the presence of a representative gathering of members of the Town Council and the committee and others interested in education. Alderman Shelley, after referring to the earlier history of the school, said that he regretted that West Bromwich and Burton, who were formerly associated with Walsall in running it as an industrial school, withdrew from the scheme for using it for mentally defective children, but he thought a vast amount of credit was due to the Walsall Education Committee for the large mindedness which they showed in tackling the problem. They were convinced that the step they had taken was a wise one, and he did not think that the school would entail a very large charge on the rates of the borough. But even that, he thought was a secondary consideration to the duty that lay before them to do their best for these poor afflicted children, who would be trained as far as possible, so as to enable them to earn their own living. The gross cost of the land and buildings was £11,000, of which Walsall’s share was £7,400, and in addition they had to pay a certain amount for alterations. 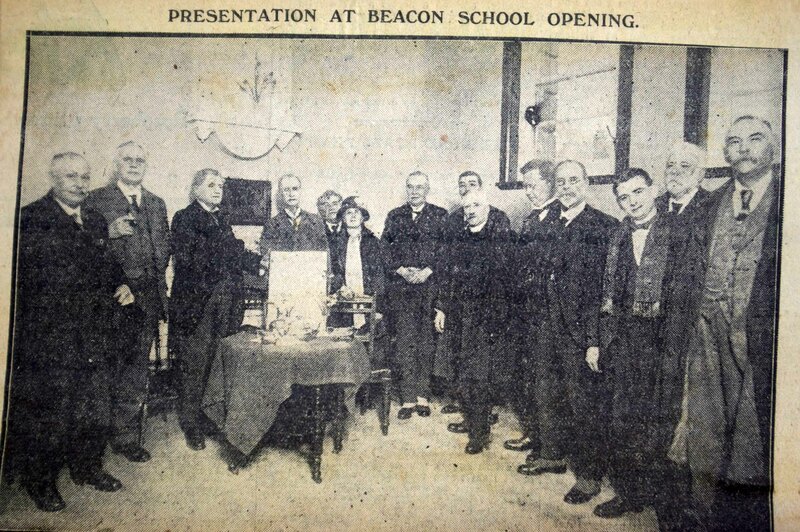 The school was then declared open, and after a prayer had been offered by the Revd J.C. Hamilton, vicar of Bloxwich, the visitors inspected the premises and saw some of the children at work and play. In making the presentation, Alderman Shelley said he had been in close touch with Mr. Hibbett for many years and he was greatly indebted to him for the kindly and encouraging way in which he had helped him to discharge his duties as Chairman of the Education Committee. Mr. Hibbett was a man of sterling worth, and he had rendered very fine service in the cause of education in Walsall. Councillor J.A. Leckie (Vice-Chairman of the Committee) adding his tribute said he always thought of Mr. Hibbett as a man whose heart was in his work, and who always went to the utmost extremity in order to carry it out to the satisfaction of himself and the committee. It was particularly appropriate that the presentation should have been made in the school, because it was largely due to Mr. Hibbett’s persistence that the premises were secured for their present purpose, and it was a sort of monument to his work for education. Mr Hibbett briefly expressed his thanks and acknowledged the encouragement, sympathy and support which he had received from the members of the Education Committee throughout the 25 years he was associated with it. Speaking of education generally, he deplored the policy of vacillation in the past, which he said greatly hindered progress. He thought that the Board of Education ought to be made quite independent of all political parties so that it would not be affected by changes of government. In addition the method of assessing grants ought to be altered, and the poor towns relieved of the handicap under which they laboured as compared with their richer neighbours. On the proposition of Councillor H.L. Lester, seconded by Councillor H. Brockhurst, a vote of thanks was accorded to the Chairman and the Rev. J.C. Hamilton. I am very grateful for these Walsall Observer Press Cuttings for they provide a detailed picture of my Grandfather’s Life and Work in Education which I would not otherwise have. He died in 1940 when I was not yet two years old. I do not think we ever met, for the 2nd World War put an end to family visits across country and to family photographs. It is gratifying to see how well-regarded he was by his contemporaries and to learn their names. They certainly provide a picture of my Grandfather’s character and of Pte Bertie Hibbett’s family background. In fact Arthur Hibbett’s character appears very much like that of my father, very approachable and kind; a peace-maker. I may not have known Arthur Hibbett but I benefited from the philosophy of education he helped to pioneer, with its fulfillment in the 1944 Education Act – and I did know that silver tea-set which came out on high days and holidays! In my own career I would certainly have appreciated his wise support and sympathy when surfing ‘stormy waters’ and dealing with ‘carking cares and petty interferences’! It is clear that Arthur Hibbett was in the forefront of educational theory & best practice of his day and I am proud of that. His view that Education should be quite independent of all political parties so that it would not be affected by changes of government still holds good. So also the comment by one admirer: Although compelled to be an economist, he had recognised that life and health and happiness were more valuable.